That’s the word from State Superintendent for Public Schools Dr. June Atkinson, in response to an education budget that drains more than $500 million out of public education. 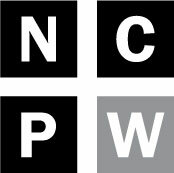 The 2013-15 biennial budget introduces a raft of spending cuts to public schools that will result in no raises for teachers, larger class sizes, fewer teacher assistants, little support for instructional supplies or professional development, and what could amount to the dismantling of the North Carolina Teaching Fellows program. Teachers can also say goodbye to tenure and supplemental pay for advanced degrees. As public education tries to provide high quality educational services for all of its students in the face of these severe cuts, lawmakers have simultaneously introduced a ‘way out’ for those who can take advantage: school vouchers. Is this the beginning of the end for public education in North Carolina? On his Twitter account, Rep. Charles Jeter, R-Mecklenburg, defended the education budget that was before the General Assembly. “NC Budget spends more money on K-12 education than any other budget in North Carolina history,” Jeter said in a tweet. Let’s examine the numbers. In the 2008 fiscal year budget, North Carolina spent $7,714,429,569 on K-12 public education. But when you adjust those numbers for inflation, that amount would have been $8,402,393,062 in today’s dollars. The 2014 fiscal year budget will spend $500 million less than the 2008 inflation-adjusted budget, in the amount of 7,867,960,649. And the 2014 budget fails to keep up with the needs of a growing student population. The Office of State Budget and Management estimates that $7,984,924,757 is actually needed to maintain current service levels of education. So while the 2014 budget would spend more than the previous year’s budget, the appropriation isn’t enough to keep up basic services. Read on to learn about some of the larger education provisions contained in the budget, broken down by category. House lawmakers began debating the merits of school vouchers, or ‘Opportunity Scholarships’ as they are called in HB 944, back in April. That bill would have siphoned $90 million out of public education by giving students who meet certain income eligibility guidelines $4,200 vouchers to use at private schools. HB 944 never made it out of House committee meetings, Even though Rep. Marcus Brandon (D-Guilford), a primary sponsor of the bill, said at a press conference that it wasn’t his intention to insert the bill’s provisions into the budget, where it would be debated behind closed doors, the House budget proposal contained the language for school vouchers. Dale Cole, North Carolina’s new Principal of the Year, expressed his reservations about school vouchers to NC Policy Watch. “Educating all of our students is a collective responsibility of the public, and monies collected from the public should go to public schools,” Cole said. Cole also explained that he believes in the accountability system to which public schools are held and that it’s important students have access to free transportation and lunch. Private schools are not held to the same standards of accountability and do not have to guarantee the provision of lunch or transportation, creating a situation that is not accessible for all. School vouchers got their start in Milwaukee, a program that has been widely criticized for churning large numbers of students and failing to show evidence that voucher school students do better than their public school counterparts. Accountability has also been a huge problem for Milwaukee’s voucher schools: some are extremely low-performing yet continue to receive millions in taxpayer dollars. The school voucher provision in North Carolina’s budget is now a modified version of what was spelled out the original bill; the program will begin in 2014 instead of this fall, siphoning $10 million out of public schools. While there is no language in the budget addressing how the following years will play out, there is an assumption that the school voucher program will follow the blueprint laid out in HB 944, with $40 million spent in year two of the program and at least that much in subsequent years. Sen. Neal Hunt (R-Wake) referred to the voucher program as a “pilot” on his Facebook page; however, there is no language in the bill to indicate that the continuation of school vouchers will be contingent on a rigorous study of the program’s performance, as is typical with most pilot programs. Teacher assistants play a vital role in ensuring that K-3 classrooms are well-run and produce good outcomes. According to the NC Association of Teacher Assistants, TAs became a fixture in K-3 classrooms during Governor Jim Hunt’s administration as part of the 1975 Primary Reading Program, designed to improve literacy among children in early elementary schools. Student achievement scores improved significantly after the introduction of the Primary Reading Program and teacher assistants to the classrooms. With this budget, North Carolina will lose roughly 3,800 teacher assistants thanks to a 21 percent reduction in funding for TAs. It’s somewhat complicated to calculate that number because some school districts use the TA fund to pay for teacher jobs. School districts can also take from elsewhere in their budgets to fill in the gap for teacher assistant funding. The loss of TAs will be especially difficult when factoring in class size. The budget that just passed will raise limits on how many students can be in a classroom, which will mean teachers will now have to teach more pupils while relying on fewer teacher assistants. Rep. Rick Glazier (D-Cumberland) called this budget “No Teacher Left Standing” during the House floor debate because it does not provide teachers with a salary increase. These teachers are the same people who have seen a one-time, one percent pay raise during the past five years. To contextualize the financial situation of a North Carolina teacher, consider the following: a teacher in North Carolina must work at least 15 years before he or she earns $40,000 per year. A new teacher in Tennessee earns approximately $10,000 more than a new teacher in North Carolina. 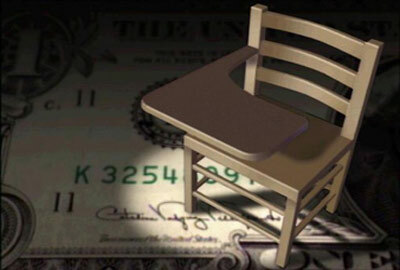 The state ranks 46th in teacher pay and dead last in teacher salary growth over the past decade. Compounding the abysmal teacher pay situation is the elimination of the modest supplemental pay benefit for teachers holding a master’s degree or higher. Going forward, new teachers will not be rewarded for going back to school to improve their skills. Teachers will also lose tenure and instead enter into short-term contracts of 1-4 years, based on experience. For many, the word ‘tenure’ conjures up the image of a professor enjoying a job guaranteed for life, toiling away in an ivory tower. But for teachers, tenure does not guarantee a lifetime job – only the chance for a hearing if they are recommended for dismissal. Merit pay is built into the budget for 2014, a plan that Rep. Nelson Dollar (R-Wake) presented during the House budget debate as pay raises for teachers. However, only teachers who enter into four-year contracts based on effectiveness will be able to take advantage of that pay increase, which will be a maximum of $500 annually. The merit pay pot is $10.2 million—only enough for 20,000 out of the 95,000+ teachers in the state. It’s unclear what kinds of measures a teacher will need to achieve in order to secure the merit pay increase. Remarkably, Gov. Pat McCrory said on Tuesday as he signed the tax reform package into law that teachers making between $40-45,000 per year would receive a one percent increase in take-home pay as a result of the tax plan. But the tables provided with the tax plan show that someone must make $250,000 per year before they receive a one percent tax break. While the lower and middle classes will see their taxes increase under McCrory’s tax reform plan, the average millionaire in North Carolina can expect to see a $9,000 tax cut. The NC Teaching Fellows program began in 1986 in response to a teacher shortage in the state. The program awards $6,500 in annual scholarships to North Carolina students interested in teaching for use at an in-state college. In return, students must teach for four years in North Carolina after graduation. Seventy-five percent of the program’s graduates have stayed in the state once that four year mark passed, and the program is highly praised among educators and lawmakers. The Teaching Fellows program fell out of favor with Senator Phil Berger, who in 2011 successfully pushed for repealing the law that provides funds for the program. Last year it was reinstated, but Berger made clear his support for the alternative NC Teacher Corps program, which was adopted as part of the Race to the Top grant and modeled after the Teach for America program. With this budget, Berger has decided to give Teach for America $12 million over the biennium to run NC Teacher Corps, establish a TFA program in the Triad region, and grow the TFA program that exists in southeastern North Carolina–even though TFA receives millions of dollars from national and state level corporate funders. Teach for America has become infamous for recruiting recent college graduates who have not been through a teacher preparation program to teach in low-income school districts for little pay and inadequate professional development resources. More often than not, these teachers do not stay for long in the school districts in which they are placed, and many leave the profession altogether within a few years. There is now a national movement organizing to resist TFA’s role in privatizing public education. In 2010, North Carolina drastically cut its allotment for textbooks from $116 million down to just $2.6 million. The idea behind this move was for schools to shift toward relying on digital resources, but “that hasn’t happened,” according to Principal of the Year Dale Cole, who works at Chocowinity Middle School in Beaufort County. With this budget, instructional supplies will suffer another 14 percent cut. That means no new money for textbooks and digital resources will likely be affected too—although the budget will allow the use of lottery funds for technology needs. Lawmakers initially floated proposals that would restrict eligibility guidelines and slash as many as 10,000 pre-K slots. The final budget leaves eligibility guidelines alone and adds 2,500 pre-K slots—but because 5,000 slots were set to expire this summer, this means that the net loss will be 2,500. Lawmakers have trotted out research that says the benefits of pre-K go away by the third grade as justification for defunding the program. That research, based on the federal Head Start program, has largely been pushed aside as a larger body of research has pointed to long-lasting, positive outcomes among students who take part in state-sponsored pre-K programs. Cuts to the UNC system totaled $66 million, far less than McCrory’s proposed $138.5 million cut. The cut is, however, on top of a $400 million reduction that hit UNC two years ago. Out-of-state students will face a 12.3 percent tuition increase at some UNC schools, while students at other UNC campuses must pony up 6 percent more. Community college students will see a $2.50 per credit hour increase in tuition. Lawmakers could make adjustments to the budget in a short session next spring. In the meantime, the North Carolina Association of Educators (NCAE) announced that they plan to challenge the general assembly’s budget in court, on the constitutionality of school vouchers and the legality of taking tenure away from teachers. Scenarios abound when considering the ramifications of disinvesting in public education. Failing school buses could end up transporting children to overcrowded classrooms taught by low-paid workers who fear losing their jobs. Younger students may not have a teacher assistant in their classroom, which will make it harder to become proficient in reading by third grade. There will be no updated textbooks from which students can learn, and not enough computers to access digital resources. Principals will scramble to fill teaching positions vacated by those who move to Tennessee or South Carolina in search of higher wages. As public education becomes a less appealing choice thanks to continued disinvestment, it will be important to watch how appealing school vouchers become, and who takes advantage of them.